The Nyle Maxwell Family of Dealerships is proud to be involved in our local communities! Our dealerships and our employees support numerous charitable organizations through volunteering and charitable contributions, including the Dell Children’s Medical Center Foundation, Honor Flight Austin, Seton Williamson Foundation, Texas Child Study Center, YMCA of Williamson County, Round Rock Community Foundation, Texas Wildlife Association, Williamson County Children’s Advocacy Center, Williamson County Regional Animal Shelter, Hays Caldwell Women’s Center, Round Rock Sertoma, Round Rock Area Serving Center, and many more. We are also honored to support two very important campaigns: the Spirit of Caring campaign benefitting Dell Children’s, and the annual Christmas Dreams and Snowy Things hosted by the Nyle Maxwell Family of Dealerships and the Williamson County YMCA. You can read more about the Spirit of Caring campaign here. In the Spirit of Caring, KVUE TV and the Nyle Maxwell Family of Dealerships recognize the exemplary work being done at Dell Children’s Medical Center. Christmas Dreams and Snowy Things is an annual event that is FREE to the public and features Santa Claus and REAL SNOW, as well as many other fun activities such as face-painting, rock climbing, and more. We are proud to support so many deserving organizations. 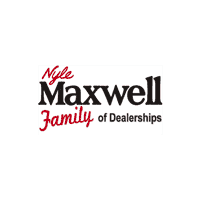 The Nyle Maxwell Family of Dealerships includes Nyle Maxwell Chrysler Dodge Jeep Ram Supercenter, Nyle Maxwell Chrysler Dodge Jeep Ram of Taylor, Nyle Maxwell GMC, and FIAT and Alfa Romeo of Austin. We maintain competitive new and pre-owned inventories of Chrysler, Dodge, Jeep, Ram, GMC, FIAT and Alfa Romeo vehicles. Staffed with experienced sales representatives and top-trained technicians, we are here to provide a fun, easy and valuable automotive shopping and service experience. We have served Chrysler, Dodge, Jeep, Ram, GMC FIAT and Alfa Romeo customers in Central Texas for years now and we are proud to carry the finest vehicles ever built.